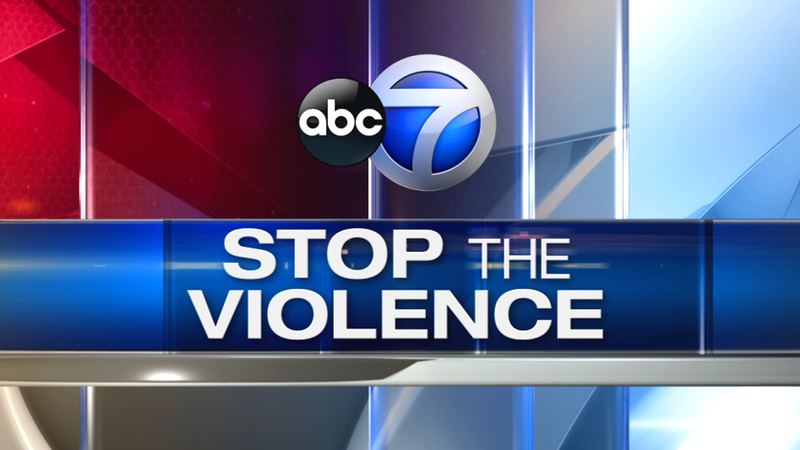 CHICAGO (WLS) -- Have you or someone you know been affected by violence in your community? The following is a list of resources in Chicago that are ready to help. The mission of Chicago Youth Programs is to improve the health and life opportunities of at-risk youth using a comprehensive approach aimed at developing their capabilities. CYP is an award-winning, innovative program created by Northwestern University medical students in 1984. CYP currently offers services in three under-served communities: Near North/ Cabrini Green, Washington Park, and Uptown. The Cabrini Green Youth Program started in 1984, the Washington Park Youth Program was founded in 1995, and the Uptown Community Youth Program began in 1998. We give young African American fathers - ages 17 to 24 - the skills and support they need to be better fathers for their children and better men in their communities. The group's objectives are to increase the quantity and quality of time fathers spend with their children, provide the skills fathers need to gain and maintain employment, and ensure fathers enroll in school or begin the process of completing a GED. The Westside Cultural Foundation is an Illinois not-for-profit. It was established in 2012 in an effort to create cultural and educational outlets for the youth, adults and seniors of the West Side of Chicago (specifically Lawndale, Austin and Garfield Park) and to support the Chicago Westside Music Festival. Urban Initiatives' mission is to empower Chicago's youth to become community leaders through academic success, healthy living, and social-emotional learning. The group builds on the inherent power of sports and teamwork to unify diverse stakeholders and strengthen communities. COFI's mission is to strengthen the power and voice of low-income and working families at all levels of civic life-from local institutions and communities to the local, state, and federal policy arenas. Chicago Police officer Jennifer Maddox launched Future Ties in 2011, while serving as a security officer at Parkway Gardens during her off hours. After noticing that young residents often caused trouble because they were bored, she convinced building management to open a basement so she could provide activities for the kids after school. The program has since expanded to operate year round, and Maddox hopes that one day Future Ties will be able to reach all 1,200 kids that live in the complex. Blackstone Bicycle Works is a bustling community bike shop, offering repairs and sales of refurbished bikes. It is also the only bike shop in Chicago that offers over 150 youth the opportunity to work in a retail setting, to earn bikes and accessories as they learn the art and science of bicycle mechanics, to learn about how a business works, to discover the satisfaction of a job well done, to participate in the civic life of a vibrant community, to be safe and free of the pressures of the streets, and to have fun. Girls 4 Science is a non-profit organization that addresses the lack of accessible quality science programs for female youth in the Chicagoland area. The group believes science exposure and increased scientific literacy will equip young women to confidently pursue STEM studies and careers. The South Suburban Defenders is a non-profit baseball team comprised of law enforcement officers and members of the community. The group's mission is to develop each student-athlete to reach maximum peak performance on and off the baseball field. They believe by having active law enforcement members work with children in the community, the broken relationship between the community and law enforcement can be mended. Through dedication, commitment, hard work, perseverance and faith, future leaders can be developed in the community. The Angel Corps is a network of supportive and trained individuals who help people, especially those who are unable to stand by themselves, to navigate the pain and loss of a loved one. Youth Guidance's school-based counseling and mentoring program that promotes social, emotional and behavioral competencies for at-risk African American and Latino youth from Chicago's toughest neighborhoods. A national non-profit self-help group that offers support, understanding, compassion and hope especially to the newly bereaved be they bereaved parents grandparents or siblings struggling to rebuild their lives after the death of their children, grandchildren or siblings. There are 7 chapters of Bereaved Parents in Illinois. Blair Holt Peace Alliance offers: A support group for 12-24 year olds affected by violence, mentoring, conflict resolution for gangs, drug abuse and bullying, prayer vigils, coordination of marches and rallies, gun violence workshops. BUILD works in some of Chicago's toughest neighborhoods to provide at-risk youth with alternatives to gang activity and violence. Since 1969, they have helped more than 90,000 young people develop their individual competencies, strengthen their commitments to education and lead happier, more productive lives. This Chicago-based, anti-violence program uses a public health approach to stopping violence by helping to change behavior independent studies have shown that shootings are down as much as 40 percent in Chicago communities where Ceasefire operates. Since its inception in 1988, The Anti-Violence Project has provided crisis counseling, information and referrals, and legal advocacy to thousands of survivors of violence and discrimination. (773) 871-CARE (2273). CAP believes that community problems cannot be solved by bringing in outside agencies to "fix" local problems such as delinquency, gang violence, substance abuse, and unemployment. Chicago Area Project is a strong network of more than 40 grassroots organizations and special projects aimed at promoting positive youth development and preventing juvenile delinquency through community-building. CCC's mission is to reduce youth violence through programs and partnerships that strengthen communities and promote restorative peace-making by supporting families and youth who have experienced loss due to violence. The Chicago Clergy Coalition is an interfaith alliance of religious leaders and churches, mosques, and temples throughout the Chicago area united under the motto, "that they may all be one". Designed to bring Chicago based people and programs together to help the healing begin for young children exposed to violence (CEV). Whether you're the parent or caregiver of a child, an interested citizen, a civic leader or a professional service provider, we can work together to bring the kids back into focus. So every child is safe from the start. The mission of the Cook County State's Attorney's Office Victim Witness Assistance Unit is to enhance prosecution efforts by delivering the highest quality of services to victims and witnesses in the areas of advocacy and court support. Our outreach efforts will be immediate, and our response will be respectful, professional, thorough and consistent. Founded at All Saints' Episcopal Church, CROSSwalk is an effort of the Episcopal Diocese of Chicago to engage people of faith and community organizations in addressing the escalating violence against youth in Chicago. We have vowed as an organization to do our part and help keep women, men, and children safe from the hands of their abusers. We are fighting to provide a safe haven for the abused so that they can live a lifestyle free of violence. We want people to know that these situations can be prevented and everyone is entitled to live in peace. Family rescue dedicated to eliminating domestic violence in the Chicago community by providing comprehensive support services and shelter to victims of domestic violence; particularly to abused women and their children; engaging in advocacy to promote future system change and encouraging prevention through community education. House of the Good Shepherd offers an intensive residential recovery program for women with children who are struggling to overcome the trauma of domestic violence. We promote healing and recovery for the mothers and children we serve, and empower the women to become self-sufficient so they can live thriving lives, free from poverty and violence. ICHV is the oldest and largest statewide organization in the U.S. working to prevent the devastation caused by firearms. ICHV works on a variety of fronts to educate, raise public awareness, and build coalitions to enact change in laws and behavior. (IVAA) is to forge a statewide commitment to helping victims of crime rebuild their lives by delivering comprehensive training to victim assistance providers and allied professionals in Illinois. Kids off the block have served more than 2,000 kids as a mentoring site and a safe haven away from the streets. Young people show up at her center for tutoring, job training and field trips. La Rabida's Chicago Child Trauma Center (CCTC) provides direct trauma-focused services for children who have experienced medical trauma or who have been exposed to severe physical abuse, sexual abuse, fires, violent crime, and witnessing domestic violence. The CCTC is the only agency in Chicago that specializes in trauma-focused assessment and psychotherapy for the full range of potentially traumatic events experienced by children. Little Black Pearl is a state of the art facility in the city where kids can show their work and benefit from the sale of their art. LBP provides a safe environment, positive role models, various creative activities and job training. Mothers coming together to fight for tougher gun control measures. The group hopes to prevent more moms from experiencing the pain and heartache of those who have experienced the loss of a child. Metropolitan Calumet has been serving families throughout the Greater Roseland community for more than 50 years. Families struggling with poverty and violence turn to Metropolitan Calumet for vital and supportive services provided by professional, caring staff. Now is the Time is a city wide initiative inspiring Chicago's young people to make a difference in their communities and stop youth violence and intolerance. he Chicago Public Library, Facing History and Ourselves, and Steppenwolf Theatre Company join forces to start this conversation in Chicago's many neighborhoods, along with theaters involved in Now Is The Time to ACT and dozens of other organizations and institutions. POMC makes the difference through on-going emotional support, education, prevention, advocacy, and awareness. Membership is open to those who have been cruelly bereaved by the murder of a loved one. Professionals who are in frequent contact with grieving families are also welcome to join. Formed through the Chicago Police Department CAPS program with 7 families that had lost their children to senseless gun violence. The name Purpose over Pain was inspired by these parents relentless pursuit of solutions to gun violence as their purpose as they faced their pain. Rainbow House is a not-for-profit agency dedicated to the goal of reducing the incidence of domestic violence and the devastating impact that often goes with it. Youth Voices provides after school programs including tutoring and recreation. It's also a place for young people to take pride in their community, talk to each other about issues that affect them and learn conflict resolution. For more information call Gwen Baxter at (773) 629-8804. Safer Foundation focuses on helping people with criminal records to become employed, law-abiding members of the community. Sarah's Inn is committed to ensuring a violence-free society with guaranteed rights, protection under the law and equal access to services for all women and their families. We believe in the strength of the women and families we serve. The Sheilah A. Doyle Foundation is a 501(c)3 non-profit organization that provides support and assistance to children ages 7-17 whose parent, legal guardian, or sibling fell victim to homicide. Through our partnership with Comfort Zone Camp (comfortzonecamp.org) and our college scholarship program, we believe that we can transform a child's tragedy into a bright future. The film is about a boy barely 12 years old, who lives in a world of never-ending violence. To give him back his childhood, we must end the war on our streets. It's time for action. Step inside his art, his mind, his existence - a world at war. UCAN strives to build strong youth and families through compassionate healing, education and empowerment. Youth who have suffered trauma can become our future leaders. UFAC is a community-based activist organization that provides services and resources to women, children, and families that have been victimized by violent crimes. UFAC works on behalf of women who have lost children and loved ones to violence, inside and outside of the home, and provides support to aid in the healing process from violent crimes such as medical outreach, court proceedings, and much more. Victim Advocacy Support Program (VASP) provides comfort and emotional support for victims of domestic violence and other violent crime. VASP guides them as they struggle with the aftermath of transgressions.